Herzlya and Tel Aviv University rail stations will be closed between Dec. 21-25 due to ongoing work on new rail lines. 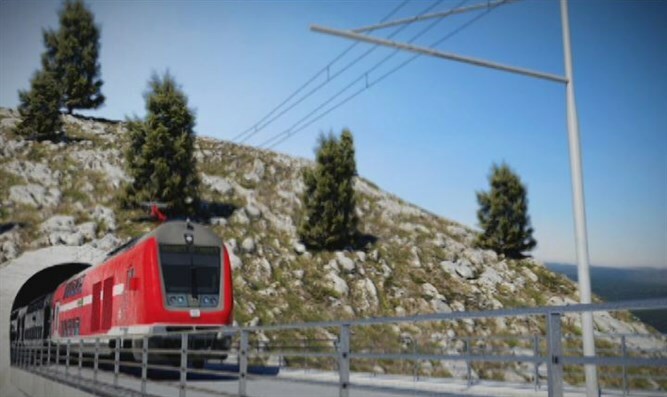 Israel Railways continues its extensive work on the infrastructure for connecting the high-speed train from Tel Aviv to Jerusalem and for connecting the coastal and eastern rail lines. On account of this work, the Herzliya and Tel Aviv University stations will be closed from 9:00 a.m., Wednesday, December 21st, to 5:00 a.m., Sunday, December 25th. There will also be a reduction in the train traffic and changes in the operation of the trains. Rail service will operate North to Beit Yehoshua station. In the South, trains will operate in the South to Savidor station, and the Jerusalem and Be’er Sheva lines will operate to the Haganah station in Tel Aviv. Normal rail service will resume starting at 5:00 a.m., Sunday, December 25th. Israel Railways encourages passengers to use regular bus service to get from the cities of the North and the Sharon area to the Central region while the tracks from Herzlya to Tel Aviv are closed. The Transportation Ministry will operate free shuttles from the Beit Yehohua station to Herzliya and to all the Tel Aviv stations in both directions. Israel Railways will operate a free bus service between the Netanya station, Ben-Gurion Airport, and the Central Tel Aviv stations Savidor and Tel Aviv University.